If you have a wedding to attend, whether as a guest or as one of the bridal party (perhaps even the bride), then choosing the perfect wedding hairstyle is an essential part of your wedding day outfit. Wedding hair is truly special, allowing you to experiment and opt for something lavish and beautiful which you might not ordinarily do to your hair, and to celebrate this, PoPular Haircuts have gathered some incredible images of wedding updo hairstyles for your ultimate inspiration. 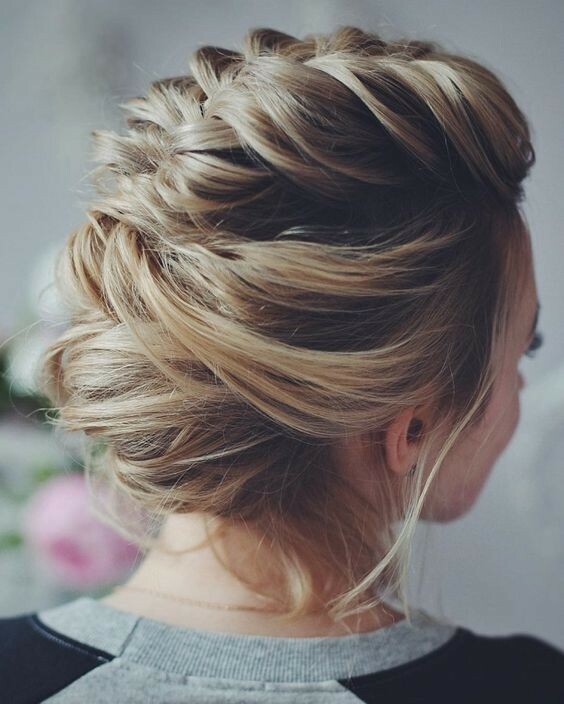 Starting strong with an elaborate bun updo style, this up do makes us swoon. 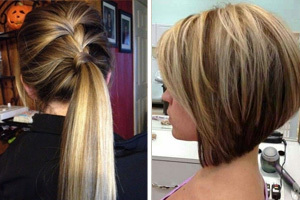 This lady’s deep and dark brown hair is full of curls and ringlets throughout, and she’s pulled the front of the hair backwards into a voluminous, swept back style, finished with a twisted bun at the back of the head. 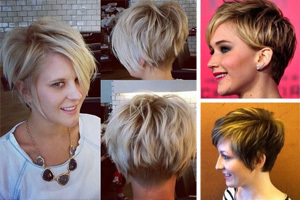 She’s left strands of hair fall loosely around the face for the perfect finish. 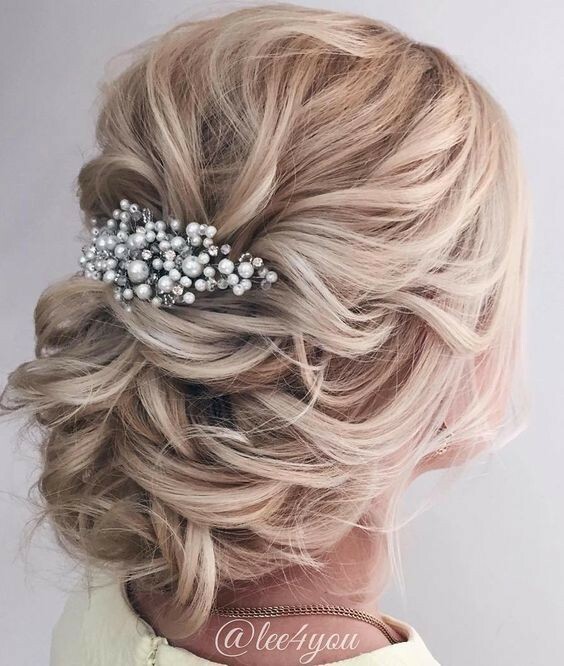 Accessories are a huge part of wedding hairstyles, and this stunning beaded grip finishes this blonde bun style off to perfection! This lady has worked her lovely blonde curls back into a unique twisted bun fashion, creating a back-combed effect at the top of the head, and has fastened the bun with this pretty grip to secure it in place for the special day. 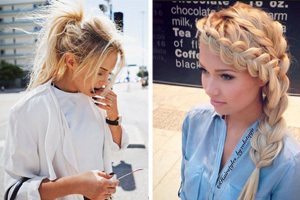 Golden blonde locks are best showed off with a beautiful braided up do – as this stunning lady proves! She’s worked her glossy hair back into an elaborate curly bun by braiding the front sections of the hair backwards in a French braided hair style. 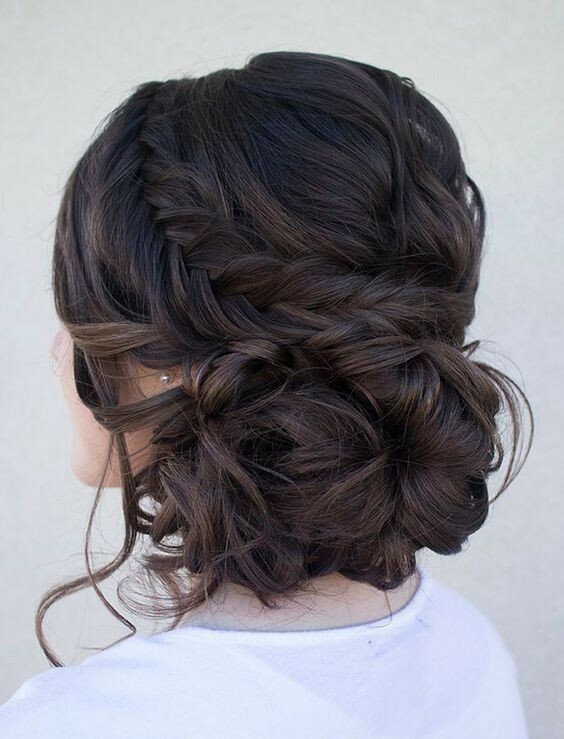 The braids gather at the back of the head, and are finished with this fantastic curly bun. 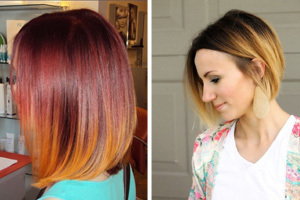 Height is everything when it comes to voluminous wedding hair, and this stunning brown bob has stolen our hearts. Sweeping the hair high on top of the head, this lady has created the most stunning twisted high bun full of volume, leaving loose strands to fall out around the head and frame the face to absolute perfection. Classy, elegant and stylish are just three words we would use to describe this elegant up do which is simply perfect for your wedding look. This fashionable female has worked her hair upwards into this braided and elevated bun look, ensuring lots of volume, back combing and twisted sections of hair for a fantastic halo effect. Braids are essential for a bohemian wedding look, and when braids are combined with floral accessories you have the perfect boho hairstyle. 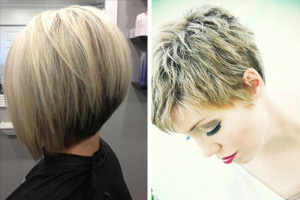 This lady’s blonde hair has been swept up into a gorgeous curly bob with plenty of loose blonde strands, and she’s left a beautiful blonde braid section which she’s wrapped around the top of the head for this impeccable finish. 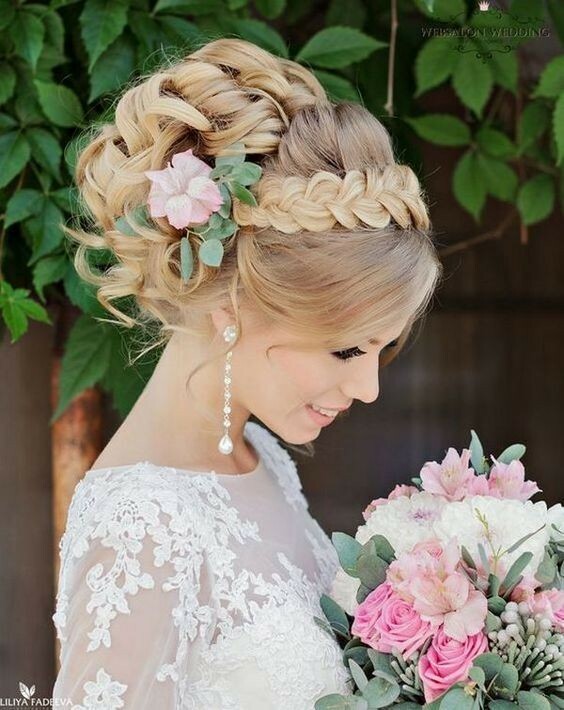 French braids are a timeless classic, but never have they looked quite as good as they do in this stunning wedding style! 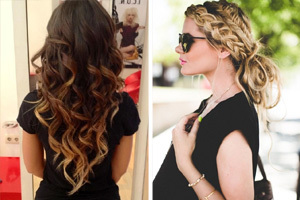 This incredibly fashionable lady has worked all of her beautiful brown and blonde hair into a French braided hairstyle, from the front to the back of the head, ensuring all of the strands are swept up in this beautiful braid. Back combing is an essential part of a good updo hairstyle, ensuring this beautiful smooth effect we see at work in the picture above. This lady’s stunning blonde hair has been combed backwards for this gorgeous curved silhouette, and the sides of her hair have been braided backwards, finished with a gorgeous curly bob. 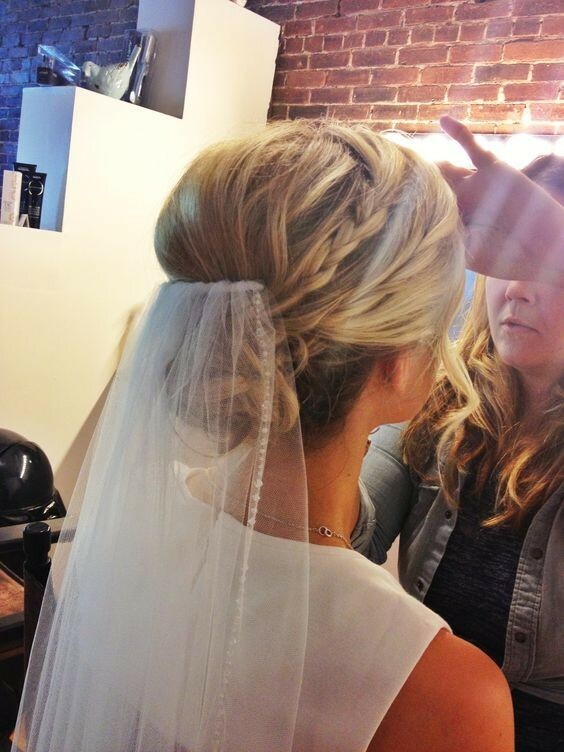 This lady has rather appropriately finished her look off with a veil, and we think it looks absolutely stunning. 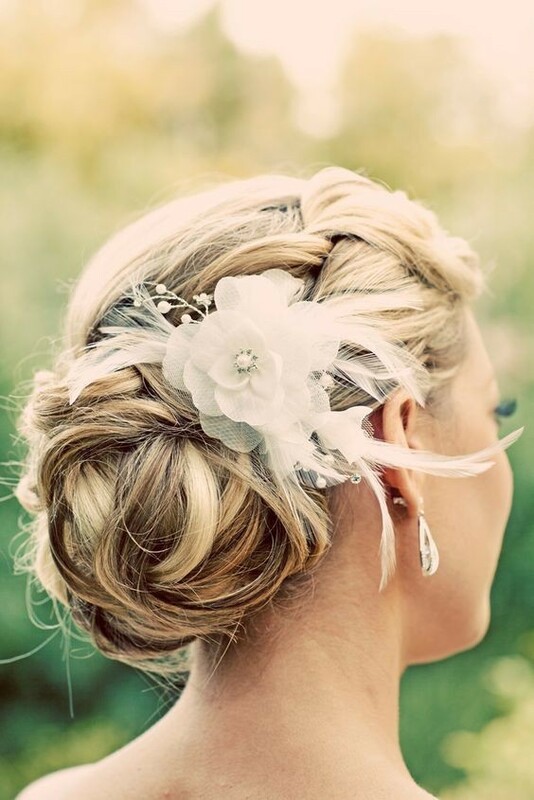 When it comes to wedding hair style, we think the more elaborate it is the better. This lady’s utterly gorgeous brown hair has been worked into a dramatic and romantic side bun which we absolutely cannot get enough of. She’s twisted sections of hair backwards from the front of the head, and gathered them all together in a beautiful curly side bun. One of the best parts about attending a wedding is being able to wear a hat or a fascinator, to add an extra touch of glamour to your wedding hairstyle. This lady is blessed with beautiful brown and blonde hair, which she’s twisted and turned to create this stunning swept back bob look. She’s finished the look with a floral and feathered fascinator which oozes class, and we can’t get enough of the end result. If you’re attending a wedding any time soon, then we hope that we’ve inspired you to opt for a glamorous up do! 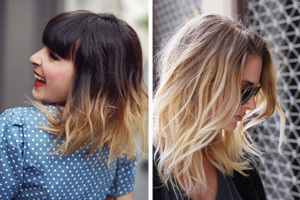 Using one of these beautiful looks for your inspiration will guarantee you have a finished style which is sublime, so do let us know which one is your favourite.